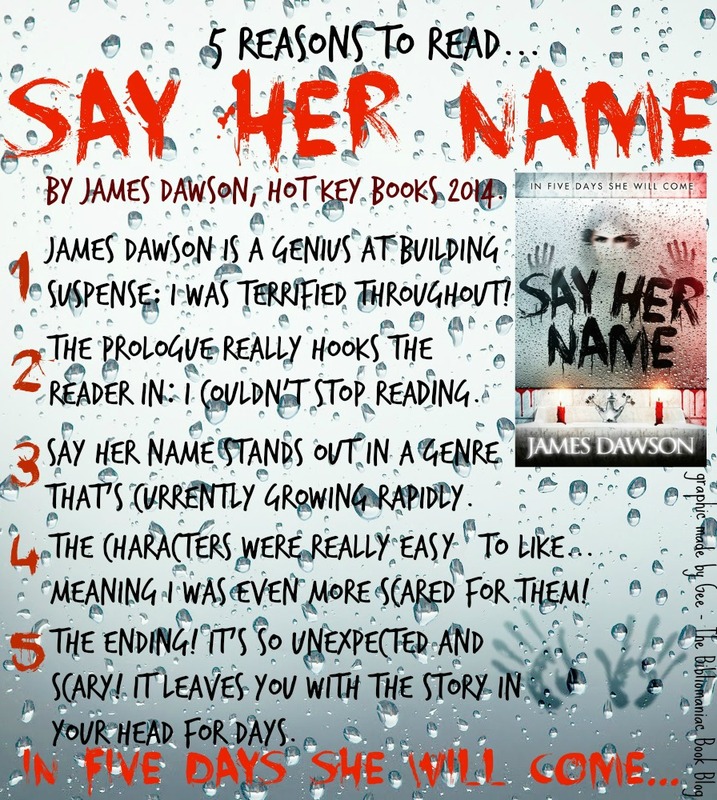 Say Her Name is James Dawson’s latest spine-chilling horror novel, out soon from Hot Key Books! I decided to make a graphic about it. It looks relatively freaky so that’s cool. The idea behind it? Say her name five times in the mirror, and in five days Bloody Mary will come for you… so, here’s five reasons to read the book! I hope you enjoyed that, as I enjoyed making it, and hope that you now feel like picking it up- it’s definitely worth it! (: When you’re tweeting about the book, or if you want to find more info on it, use the hashtag #SayHerName. This entry was posted in Uncategorized and tagged arc, bloody mary, graphic, horror, say her name, scary on March 27, 2014 by keithbwalters. Again, what a great graphic! Really want to read this one. I have the book yay its really good and your right the rnding is great, oooh she has been set FREE!